Recharge at the fitness centre. Our wellness and recreation facilities are amongst the best in the city. 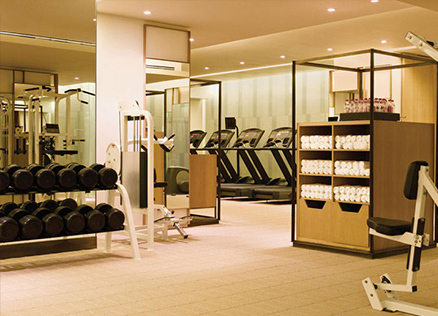 From a high-energy workout in our state of the art fitness centres to a holistic ritual at the Trident spas in Mumbai, our facilities are for the exclusive use of our resident guests, so that you can relax and unwind at your leisure. Trained therapists at the spa offer a wide range of treatments inspired by Ayurvedic and Western techniques. These are ideal to de-stress or to counter jet lag. Our swimming pool is inviting for a dip to beat the heat or to relax beside with a drink or snack on a deckchair. Whatever you prefer, do spend some time enjoying these simple pleasures, when you stay with us. Take some time out from the fast, energetic pace of Mumbai to recharge and rejuvenate with our wellness and recreation facilities. An oasis of relaxation in the heart of Mumbai, our spas offers a range of therapies and beauty rituals. Let our therapists suggest a treatment best suited to your body type, mood and schedule. A few laps in our swimming pool are also refreshing, more so as you can see and hear the ocean beyond. Fitness enthusiasts will find our gym well-appointed and our trainers friendly and forthcoming. An oasis within the bustling city, the Trident Spa offers exclusive rejuvenating treatments inspired by Ayurvedic, Asian and European traditions. Our dedicated therapists will help you choose the best treatment for your aches, pains, body and skin type. Whether you prefer a cardiovascular workout or some body toning, our fitness centre is fitted with the best of equipment and air conditioned for your comfort. Our trainers are on hand to ask, offer advice or to help customise a workout for you. Few things are more refreshing than a swim. Dotted with delicate, flowering Frangipani trees, our third floor infinity swimming pool is exclusively for our resident guests’ use. Take time to relax after a swim and stretch out on a deckchair with a cold drink or light, healthy snack. Furnished in delicate hues of light wood with the subtle fragrance of lavender or jasmine in the air, the Trident Spa welcomes you to a haven of peace and tranquility. Experience the very best of Eastern and Western massage treatments. Relax, refresh, unwind. 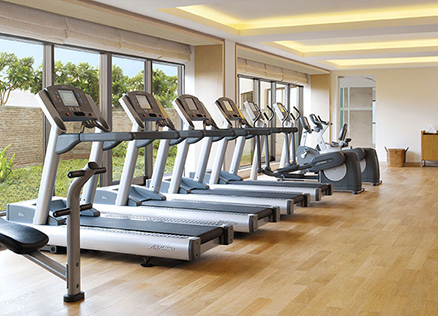 The fitness centre is where modern amenities and technology combine with personal service. Our range of strength and cardiovascular equipment ensure you can always keep up with your fitness regimen, while our trainers are on hand to ask, offer advice or to help customise a workout for you. The pool offers stunning views of the famous Marine Drive and the endless ocean beyond. Open only to our resident guests, it is perfect for a refreshing dip or a leisurely evening. Take time to relax after a swim and stretch out on a deckchair with a cold drink or light, healthy snack.